Simply Back to Basics: Kudos to Your Child! Recently, my friend's 10 year old son did a wonderful job of presenting his part in a program at church. He spoke with such amazing grace and sensitivity that I was moved to write him a special note and acknowledge his contribution to the service. It reminded me of notes that had been written to my older children when they had shared of themselves in similar ways. My friend was touched and said the note was "one for the scrapbook". I shared with her something that was suggested to me, many years ago by a wise school staff person. I created a Kudos! 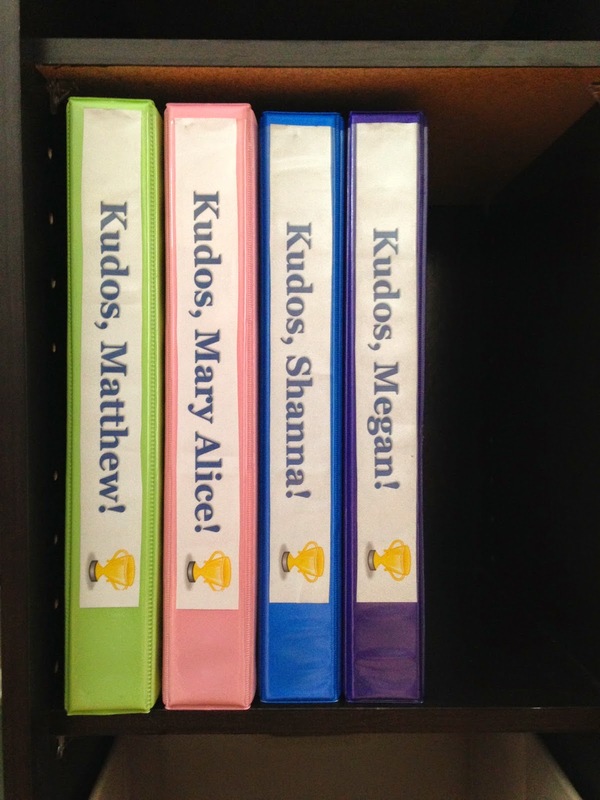 book for each of my four children where I keep their paper mementos. 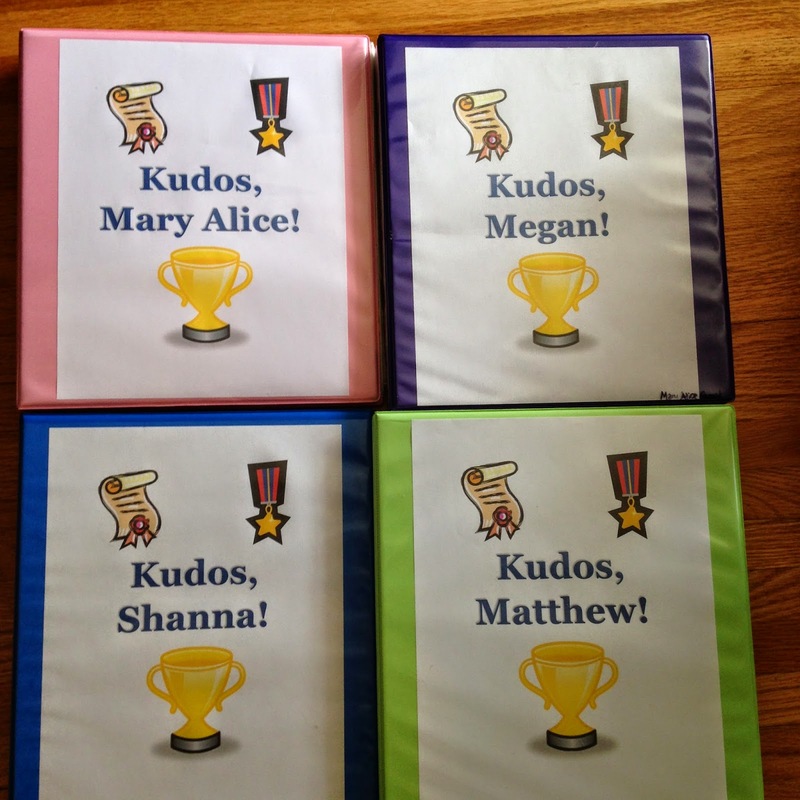 Every time they receive a certificate of achievement or completion, I put it in a sheet protector (two documents per sleeve, front and back) inside this 3 ring binder. I keep things like certificates from swim lessons, sports participation, religious school, extra curricular clubs, honor roll and awards of achievement and excellence. I also include programs from special musical events and productions, samples of excellent work, poems and personal notes of acknowledgement and encouragement written to them by others. Each year, I include the class photo of the grade they are in. 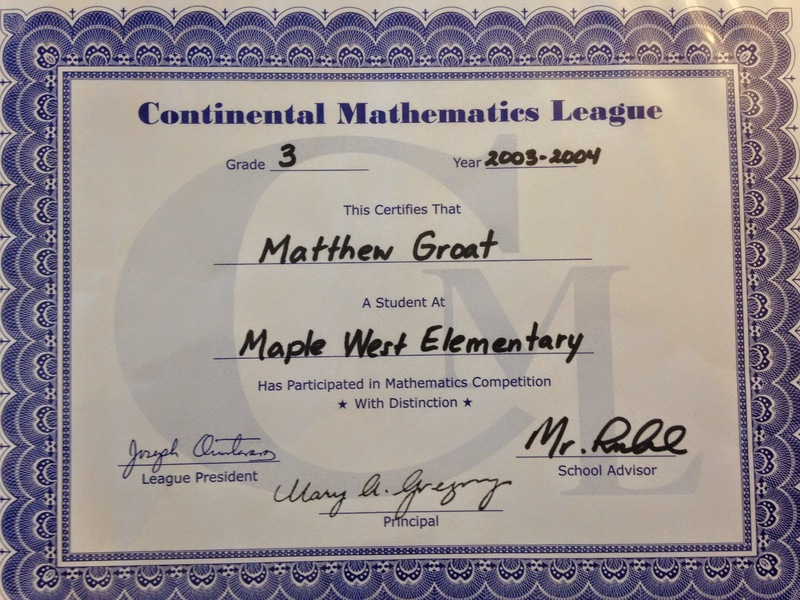 A certificate from the beginning of his math path. My kids have enjoyed collecting these mementos in one spot and over the years they love to look at them and see what they have done in the past. It is an excellent chronological sequence of their lives and when it came time for Matthew to apply to college, it was a helpful review of the many ways he was involved over the years. 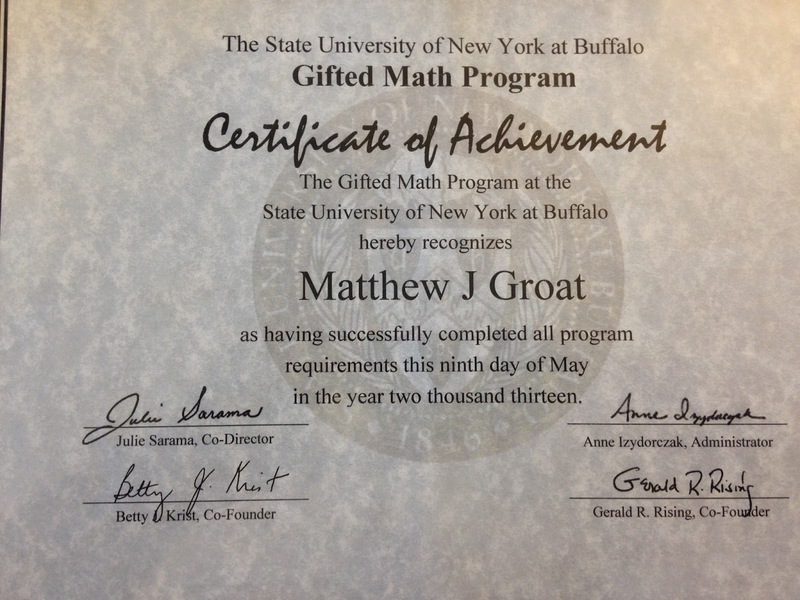 I am still adding to his today, after his induction into his college Math Honor Society! To access a free template like the one I made for my binders click here. It will open a window in Google Drive and you can download the template to edit in your word processor. Notes: I recommend using higher quality binders and sheet protectors like the ones I linked to. Economy ones just don't feel as nice or hold up as well. The Kudos! book is going to be around for a long time, so the few extra dollars are well worth it! The link to the Kudos template wasn't working before so I fixed it. If it doesn't work, please email me at simplybacktobasics@gmail.com.